The HAEA unifies and empowers the HAE patient community to Stand Up Strong for HAE. We continuously develop a broad range of activities and programs that encourage our HAEA members to educate, engage, and raise HAE awareness within their own local communities. Youth Program - the US HAEA is expanding its youth program. The program fosters engagement and interaction at conferences, camps, and other youth events, while helping develop a strategy to best meet the needs of the young HAE patient and caregiver. Sign up for our Youth Program. 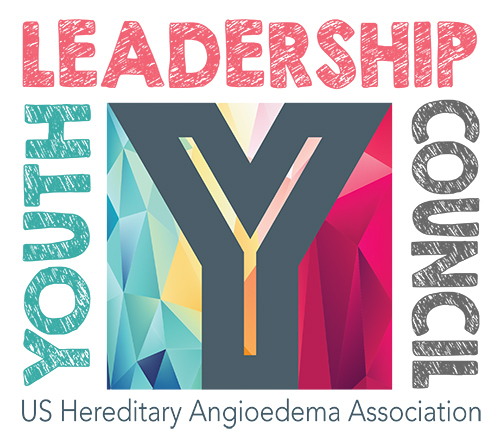 Youth Leadership Council - As part of our Youth Program, we have established a Youth Leadership Council (YLC). Our goal is to engage in peer to peer support with diagnosed HAE youth and youth family members, serve as youth leaders at advocacy events, and receive priority information about opportunities to participate in legislative visits to Congress in the Nation's Capital. 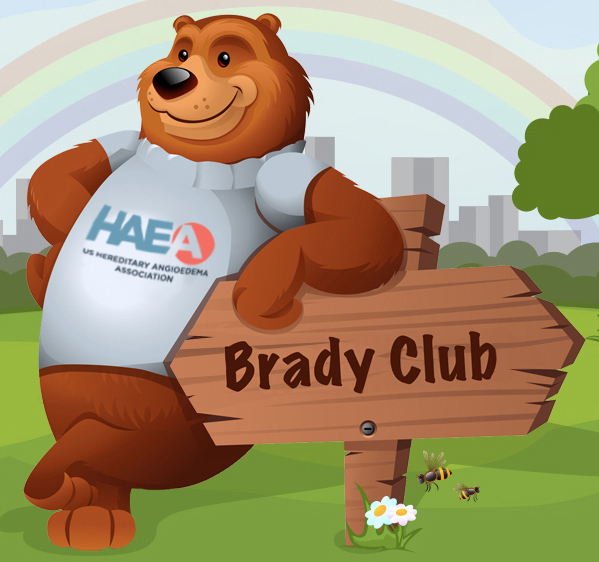 Brady Club - An online educational resource for children ages 4-12 that includes games, puzzles, and more! The Brady Club makes learning about HAE fun! Scholarship Program - The Scholarship program provides financial support for HAE patients who are entering or attending college and seeking to improve their lives through academic achievement. HAE Day :-) - May 16th is celebrated annually as global HAE Day. The US HAEA helps patients sponsor local awareness events throughout the nation. If you are interested in organizing your own HAE Day :-) or specialty event - whether an awareness activity or fundraiser - we have ideas and tools to help you. No event is too small... or too large! Get started with your own event. HAE IN-MOTION® 5K events - Each 5k event is a fantastic opportunity for family, friends, students, co-workers, and colleagues to come together to increase HAE awareness and raise funds to support research, scholarship program and patient compassion fund. Find a 5K event near you! HAE Café - The HAEA Café is an online community for HAE patients and families. Chat live with your HAEA Patient Advocate, participate in informational webinars on issues like access and reimbursement for HAE therapies, check out the latest HAEA news, and participate in virtual support groups. Social Media Outreach - Access any of our latest social media platforms for the latest HAE news and topical YouTube videos, access to virtual support groups and webinars, or fun facts on our Facebook page. Start sharing!